Who is ready for some Football! I know I am. With that said and with the season approaching fast I am publishing my top 40 IDP players for 2015. Please remember that I use tackle friendly settings. If you are in big play leagues you can join the membership and post on the forums. 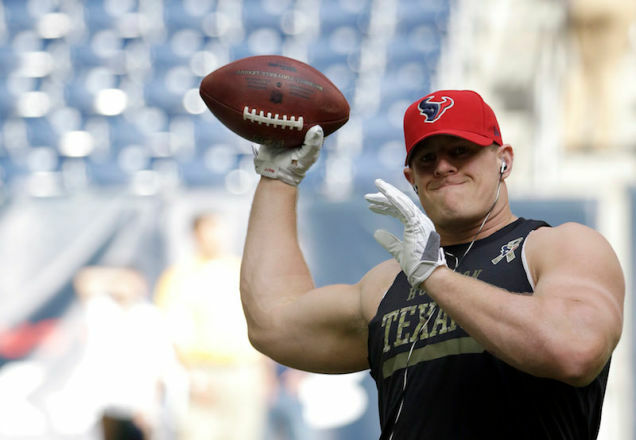 J.J.Watt, HOU, DE: Did you expect anyone else to occupy the number 1 spot! Be very careful going into your draft, do not over reach for him. He is GREAT and I don't question that, but someone in my league grabbed him in the 4th round, that for me is WAY too high. I would be comfortable grabbing him from 8th round onwards. Keenan Robinson, WAS, LB: No this is not too high, I think Keenan Robinson will have a breakout year.